Special Containment Procedures: SCP-732-J is to be kept on Dr. Kiryu’s1 desk. A routine care schedule of daily facial tissue buffing is to be carried out to maintain SCP-732-J’s high-quality sheen. Description: SCP-732-J is a decorative ceramic seahorse figurine, predominantly jade green in coloration and measuring approximately 3 cm in height2. Durability - SCP-732-J survived a vertical fall of 1 meter onto an office floor, and has endured two weeks without its daily tissue buffing without accumulating dust. Visual memetic effect - Directly viewing SCP-732-J’s face has consistently triggered the voicing of spontaneous comments about SCP-732-J’s appealing anatomical features. Mild compulsion - human individuals who view and/or handle SCP-732-J are convinced of its indisputable monetary value and bargain price. Human individuals who handle SCP-732-J for extended periods of time will be convinced that it is or will become a cherished memento with a worth beyond that of common currency. Those who do not currently own a similar seahorse will desire to obtain such a seahorse. Mind-affecting facial structure - The craftsmanship of SCP-732-J indicates a certain level of attention to detail, most evident in the slight curvature of the mouth, suggesting that the figurine is smiling. This feature has been known to improve the mood of onlookers. Potential sapience - SCP-732-J’s relaxed pose and gentle curvature suggest that he is a good listener. SCP-732-J was purchased on ██/██/██, from the ███████ Aquarium gift shop in ████ █████, █████████ following a routine Foundation staff work retreat at the location. SCP-732-J was part of a production set of forty other figurines nearly identical3 in appearance. 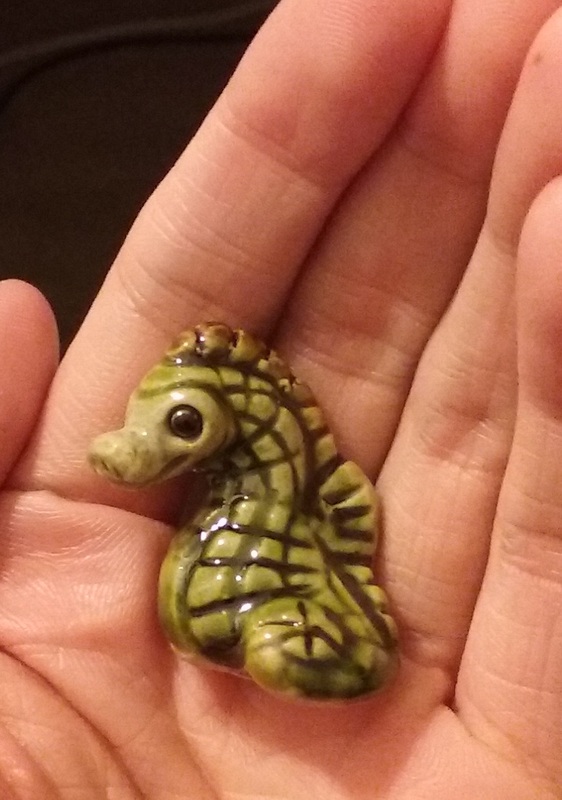 Addendum SCP-732-J-1: Tiny Ceramic Seahorse is currently allocated to a timeshare at Dr. Mercer’s desk to maintain staff morale. Below is an excerpt of the interview immediately preceding confirmation of this containment change. Dr. Mercer: How is your seahorse? Dr. Kiryu: Tiny Ceramic Seahorse? Dr. Kiryu: Doing well! Guarding my paperclips, last I saw him. I’m surprised you asked after him, to be honest. You weren’t really a fan at the gift shop. Dr. Mercer: The interns keep telling me he seems very comfortable next to the potted bamboo. Do you think you’ll buy another one? Dr. Mercer: …Actually, I was hoping to get one for myself. And maybe my cousins. Your Tiny Ceramic Seahorse looks happy. Dr. Mercer: Also, I… I made a hat for the seahorse. As of this time, the number of individuals known to be affected by SCP-732-J's primary compulsion effect is increasing rapidly. 2. He’s so tiny. Clearly, this classifies him as a Tiny Ceramic Seahorse. 3. 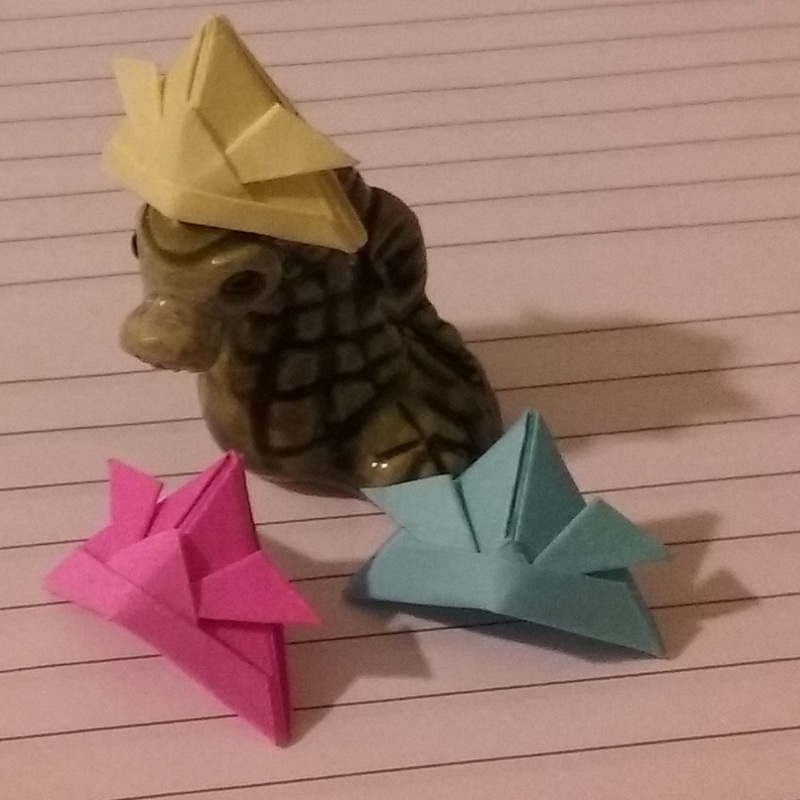 To determine this, the current owner of Tiny Ceramic Seahorse took care to examine every single other figurine and concluded that SCP-732-J was the most charismatic of the set.